Halloween Archives | How Do You Do It? Pumpkin spice lattes are back at Starbucks, and Pinterest is full of cute fall decor. On one hand, it feels a bit early, but my girls’ Halloween costumes have been top of mind the past few days. I don’t generally dress the girls alike on a day-to-day basis, but this will be their fifth Halloween, and to date, I’ve gone the “double the cuteness” route. Two pumpkins, two cheerleaders, two ladybugs, and last year, two butterflies. And another one that I thought was comical was “Peace and Quiet”. I can just envision printed shirts with those words…at least with my two, that would be a walking oxymoron! Have you started thinking ahead to Halloween? 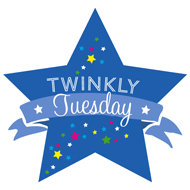 Are you planning to coordinate your multiples? Have any fun ideas to share? Also, check out our “Holidays” Pinterest board for more fun ideas! MandyE is mom to 4 1/2-year old fraternal twin girls. She blogs about their adventures at Twin Trials and Triumphs. My cousin Cynthia posed a question: What is the real meaning of Halloween? She lives in Bangladesh, where we don’t celebrate Halloween at all. I was tempted to point her to the old Celtic festivals that seem to have birthed Halloween, but who really thinks about that as they’re handing out candy to miniature goblins and witches? I have a confession. I am all Halloweened out, and there are still five days to go. This is the first year our daughters haven’t needed help thinking up Halloween costume ideas. M has been asking to go by the nickname “Monkey-Moo Dadadada!! !” for several months now, so a monkey costume was an obvious choice. (She specifies, consistently, that her nickname is spelled “with 3 explamation marks at the end”.) J decided to keep to the jungle theme by being a tiger. They’ve always had coordinated costumes, and I don’t think it’s occurred to them not to. A monkey and tiger make for simple costumes. They’re not what’s wearing me down, although if you’ve got ideas to help me turn out an inexpensive tiger suit before Friday, I’m all ears. I thought I had another weekend to finish up the costumes, but learned that kids can wear costimes to school on Friday. I can’t have mine be only uncostumed children there. The Halloween-related activities at school are overkill. I can’t even keep them straight. I had to provide each of my children with a large bag of candy yesterday to contribute to the school-wide trick-or-treating effort. I need to provide treats for the Monday Halloween party in J’s classroom. We’re also supposed to contribute a dollar per child for Friday evening’s school festivities, and I have a nagging feeling that I’ve forgotten some other contribution expected of us. Of course, I’m building up our home treat contribution for the trick-or-treaters. I’m that lady who has pencils, erasers and stickers in the bowl alongside the chocolate and lollipops. M is having nightmares about witches and ghosts. I found her in J’s bed this morning because she had a “bad bad bad bad dream” and needed comfort during the night. In years past, she has elected to stay home with me to avoid seeing scary costumes while J goes trick-or-treating with my husband or neighbours. I’ve done what I can to focus on the communal aspect of Halloween, and downplay the commercialism. My former neighbour always throws a fantastic party on Halloween that’s early enough for little kids to get their fill of the fun without the fear. This year, though, Halloween is running away with my kids and I have little to say. They’re hardly excited about their costumes, but have bought into the candy, candy, candy culture, even though they know that we’ll expect them to moderate their consumption. How do you keep the focus off sugar at Halloween? Last year was our most low-key Halloween ever. I thought briefly about getting our 7 month old twins costumes, but threw that idea out the window once I saw the sticker prices on those cute, little infant costumes. (Sadly, I was not the savvy bargain shopper I am now, and did not know to check out the Old Navy costume sale, the local consignment shops, or the fall MoM sale.) Instead, I picked up two Halloween shirt/pants outfits from Target, and my babies wore them several times throughout October. 4-7pm was still a really tough time of day for us, so our trick-or-treating was kept to a minimum. After dinner, we took a walk through the neighborhood, my husband and I each carrying a baby and pointing out all of the big kids in their costumes. 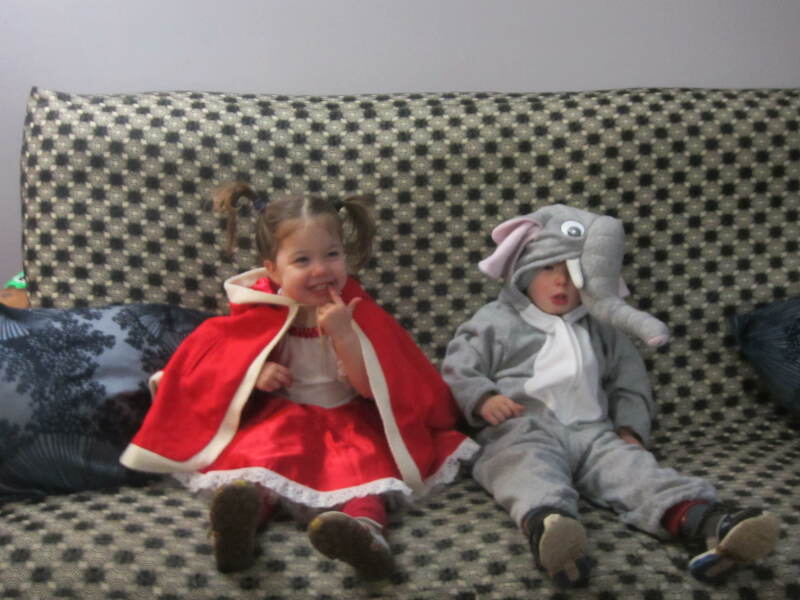 Although they were obviously way too young to understand the excitement of Halloween, it was fun to watch my babies’ little faces light up as they watched all the children darting from house to house. As a result of our early bedtime rule, we did not pass out candy last year. The nursery is at the front of our one story home, so we kept our light off and prayed that no one would ring our bell. With the front of our house dark, and not a pumpkin in sight, we were left to ourselves for the entire evening. 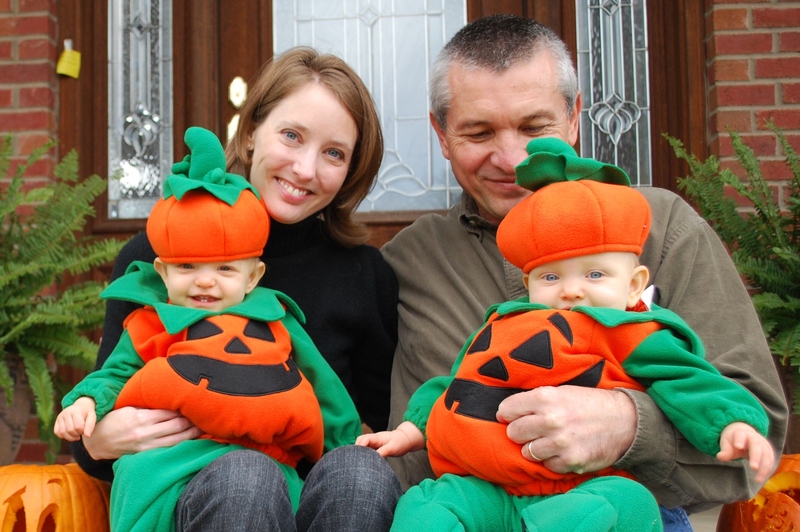 But this year, with twins almost 20 months old, I’m ready to begin teaching them about the fun and excitement of Halloween. In September, I picked up brand new costumes- a monkey and a bear- at a MoM sale for $5 each. They are way too big, but the kids got soooo excited when they tried them on, that we decided to just roll up the sleeves and pant legs and go with it (and may continue to do so for several more years!). We kicked off the start of Halloween week by attending a Halloween party at our local senior citizens center. The kids sat and listened to stories, and then went trick-or-treating around the room- going from table to table, gathering goodies and compliments from the admiring seniors. Honestly I’m not sure who was happier, the kids or the seniors. Next we went to a Halloween playdate, which was basically a room full of kids in costumes playing with toys. And we’ll finish up the week by attending our town’s family Halloween party and visiting just our closest neighbors for trick-or-treating. With Halloween being the night before we fall back an hour, we should have plenty of time to participate in giving out a little candy as well before bedtime. What plans do you have for Halloween this year, and what traditions are you most excited about sharing with your kids? Trick or treat! Halloween is just over a week away. 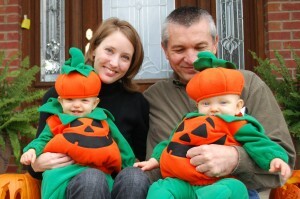 Hopefully you’ve come up with some great costume ideas for your multiples, either as individuals or a group. I’ve heard lots of great ideas for multiple costumes, but I have to admit my girls are wearing matching orange onsides with pumpkins on them, and little hats that look like pumpkin tops. It isn’t very creative at all, but it is just their first Halloween, and they’ll be really cute. 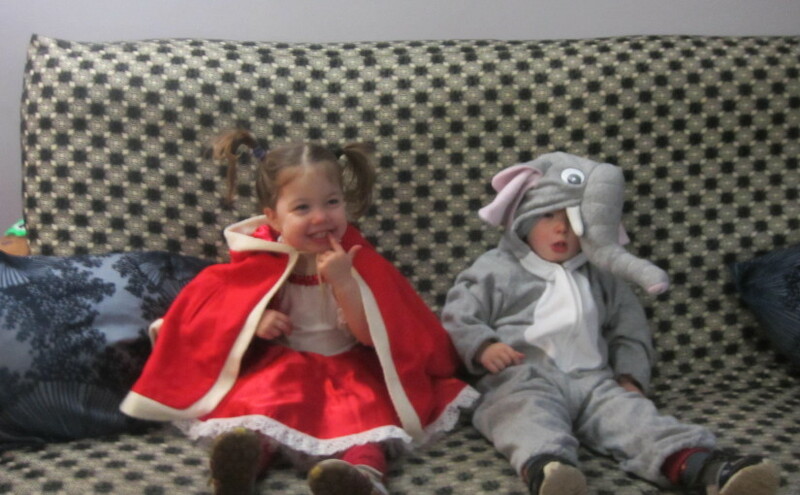 For their brother’s first Halloween, we didn’t do anything at all. In fact, we didn’t even do anything on his second Halloween either… This year he’s being a train engineer. Next year, I’ll do something more creative when they’re a little older. In the meantime, why don’t you share your great Halloween costume ideas for multiples, or any other Halloween stories or advice you have to offer. Here’s a great list of Halloween suggestions from ParentHacks. It is one of my favourite web sites; there’s a suggestions to help in nearly every Halloween situation from how to make a last minute costume to what to do with leftover candy. 2) I am completely exhausted from our craptacular week this week (someone recently questioned whether this was a real word—believe me! He would not have done this had he lived my week this week). I will summarize by saying that at my house there is a sad little 18 month old girl with an infected split lip that hurts too much for her to eat. And Miss Abigail is really very fond of her food. It makes for sad, crabby times. Anyway, I wanted to invite those of you who are creative in the kitchen to share your fun Halloween recipes with the rest of us. Do you make spiderweb cookies or tombstone cookies? Or pumpkin cupcakes? Or are you looking for a use or two for those leftover candy corn? To those little trick or treaters out there—have fun tonight! I think we’re skipping the festivities tonight and having a early bedtime for tired little ones and a glass of wine, or two, for tired big ones.